Arrival at the agreed meeting point, accommodation in cabins. Beginning of the discovery of the Venetian lagoon, sailing along the colorful coast. A day "slow" and bustling along the coast ... A path between uses and island's traditions: quiet and historical squares, the passing of the buildings that once hosted illustrious poets who chose the island in the pauses for reflection and inspiration .. . Further, various stops at the Rowing, where even today the members transmit their experience to those who want to approach the Rowing. Do not miss a visit to the headquarters of Murazzo, Cultural Association of the island, which is committed today to pass on the local and precious art of Merletto. During surf, swimming breaks are provided, to appreciate surroundings! Stop at a local restaurant for a delicious lunch / tasting with local dishes! Afternoon drive along the lagoon to reach the north end of the coast with stops in Portosecco, San Pietro in Volta and Santa Maria del Mare. Return in the evening and time for the preparations before dinner. Overnight in Pellestrina aboard the hammock water. The Lagoon and the Sea, Sweet awakening Sunday. Prepared breakfast on board and departure for an adventurous day in the boat to sail, to the discovery of the lagoon and out to sea. The team of experienced sailors, will approach to sailing. Lunch on board with tasting of delicious local dishes. Drink at sunset and return in the evening. 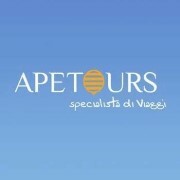 Ape Tours is a travel agency, situated in Pellestrina, a little island in the Venetian lagoon. Our main purpose is to plan and offer original proposals to discover the lagoon and its territories; to get aboard historic boats and enjoy a unique excursion; sight-seeing tours, trips along local traditions. At our office you can also rent an old-fashioned bicycle that has been properly repaired to make your riding even more pleasant. The Ape Tours travel agency was founded by Mrs Alberta Busetto who has a trained experience of over 20 years as a tour operatour working in the travelling environment. Our office gives to you original solutions through the search of local values and traditions.